The biggest cultural event by CISC! CULTURAL NIGHT 2017 (formerly known as Pasar Malam). This year we're gonna have a special guest, Mr. TOM IBNUR, world-renowned Indonesian choreographer. 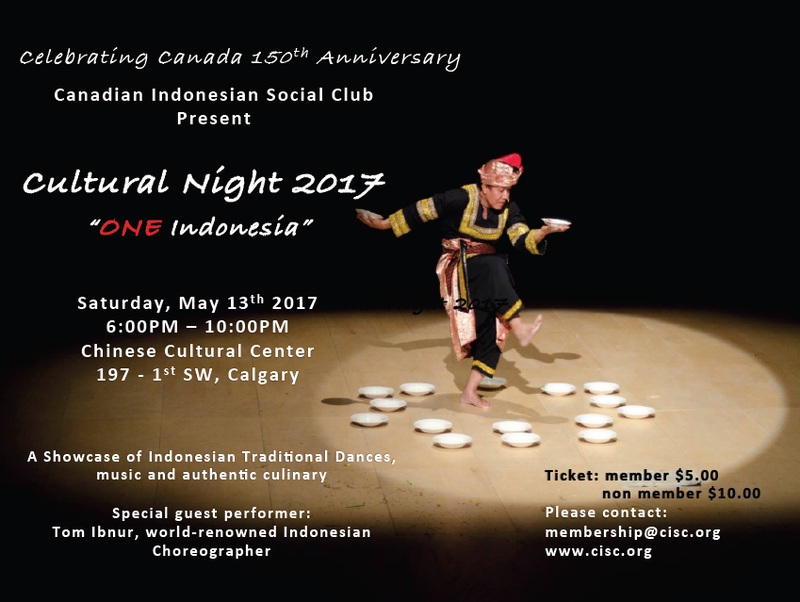 Don't miss your chance to learn new Indonesian dance from Mr. Ibnur himself! In the meantime, mark your calendar for this special evening. See poster below for detail!